Guests arrive at 5pm for meet and greet. Full Ranch Tour will begin at 5:30, followed by dinner (7ish), music, dancing, bonfire, mallow roasting, etc... End at 10pm (if you stay any later you'll be put to work feeding pigs). What to Bring: We've got you covered. Just a go-with-the-flow attitude, appetite and thirst will do. And of course, CHECK THE WEATHER for appropriate clothing. ​Children: Children over the age of 12 are welcome. Please find a babysitter for the little ones. Seats are limited so all children must have a ticket. Food: Most dishes are served family style, so get ready to meet your neighbors! Since our menus are changing up to the day of the dinner based on what is in season we are not able to accommodate severe food allergies. We can guarantee all the food is locally sourced and of the highest quality! Drinks:​ We've got you covered. Weather - Please check the weather before coming. We have tents and accommodations to keep everyone dry for dinner. Bring raincoats and umbrellas for the tour if rain is in the forecast. We are going to show you the best Thursday Night of the Summer! 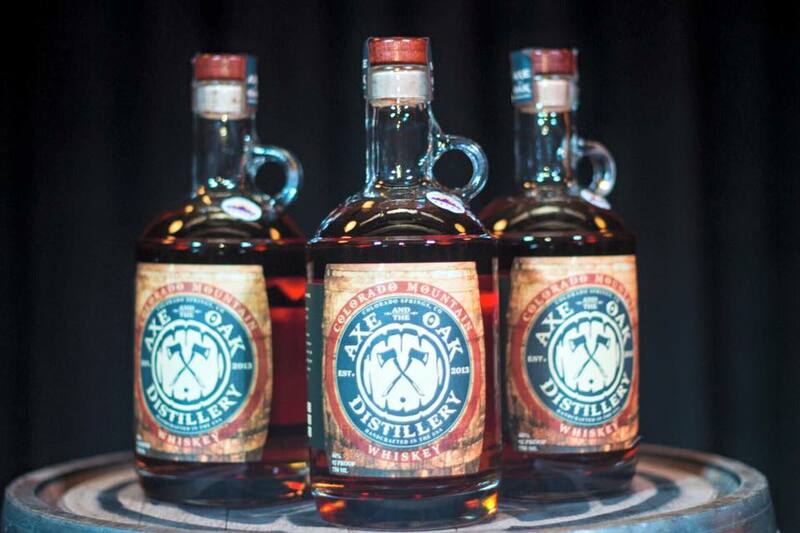 Join us as Axe and the Oak Distillery comes to take over the ranch. You already know them for crafting the best cocktails around, now get a chance to experience their Culinary talents as well. The Axe and the Oak team is full of former Chefs from Restaurant's like "The Blue Star" & "IV by Brother Luck". It's what makes this team so special. They will be putting on an authentic Farm to Table dinner with perfect cocktail pairings. Don't miss this chance to get to know Colorado Springs' favorite distillery. And to top it off, Roma Ransom will be joining the fun and rocking the front porch stage. Let's do something different on a Thursday! ​Use the above address in any navigation site/app and it will take you to the Ranch entrance. Then follow the signs. ​The 1,500 acre ranch lies right in the heart of Black Forest. Just 25 minutes north of Colorado Springs and 60 minutes south of Denver the ranch is very accessible. Please remember this is a working ranch, so please do not visit outside of the dinners or their posted store hours.